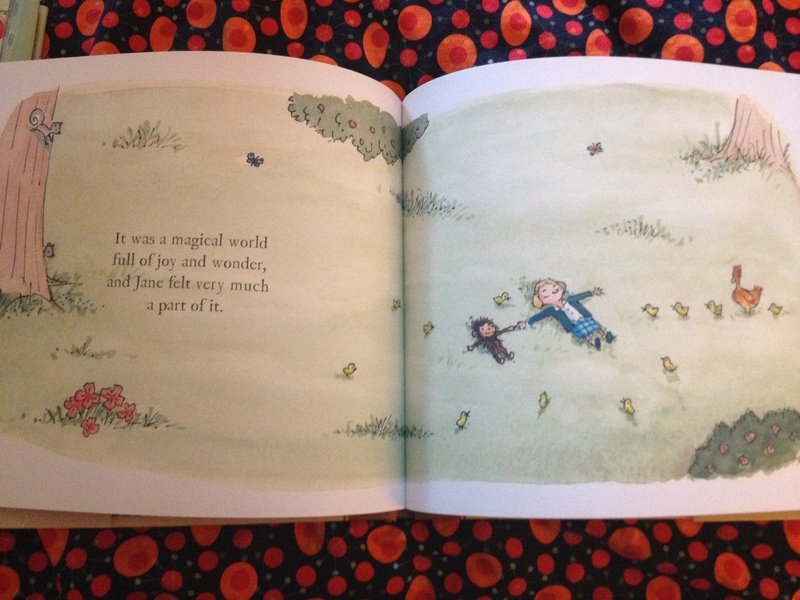 At the end there is a transformation from child to adult, and from illustration to photo that gives me chills each time I read it. The writer/illustrator of the book also writes a comic strip about a dog called Mutts, so some of you might recognize his drawing style. McDonnell is also on the board of directors of the Humane Society of the United States, so he’s very involved in animal welfare. 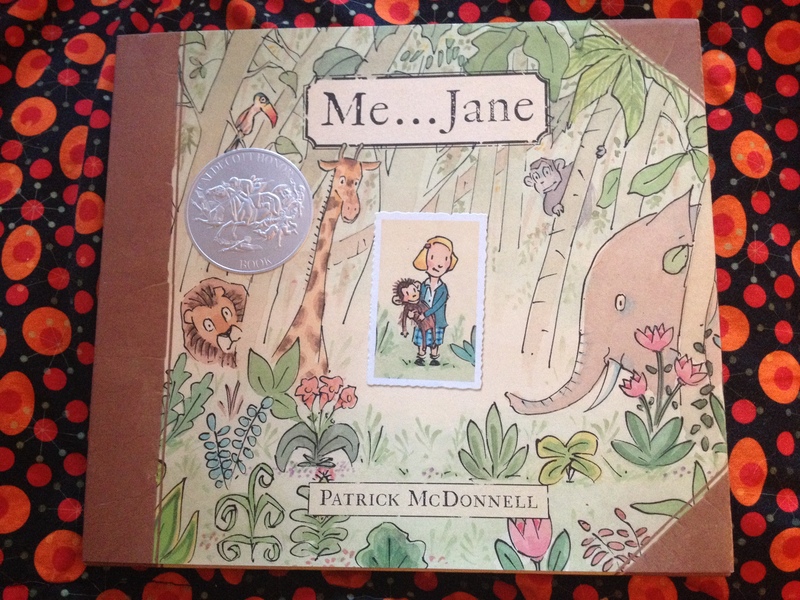 There’s more detailed information in the back about Jane Goodall and her foundation, as well as a note from her about people making a difference. 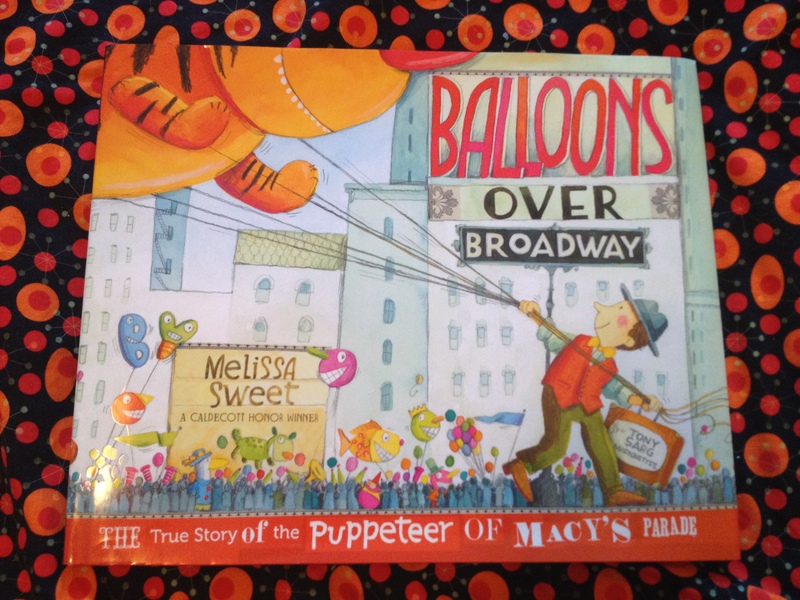 The other biography is called Balloons over Broadway: the true story of the puppeteer of Macy’s parade by Melissa Sweet. For anyone who’s ever watched the Macy’s Thanksgiving Day Parade, this book is a revelation. 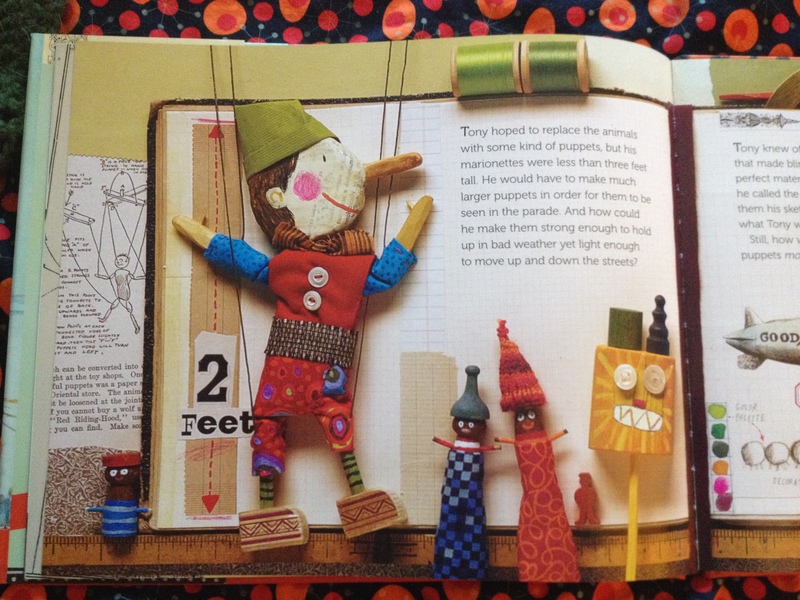 Tony Sarg, a puppeteer, was the one who started it all, after Macy’s asked him to provide a parade celebration specifically for the immigrants who worked at Macy’s, the largest department store in the world in 1924. They missed their own holiday celebrations and Sarg provided a street party the likes of which had never been seen before. The parade drew so much attention that Sarg endeavored to find a way for everyone to see the celebration, which led him to invent a sort of inverted marionette, the helium balloon characters we see today. Now, if only I could find a way to watch the parade on television without being subjected to those awful Broadway show previews, doofus commentators (although Ed Asner was a bit snarky last year), and television “celebrities.” All I want to see is the balloons and the marching bands. Why do they always skip to commercial when the marching bands come on? Don’t even get me started. Anyhoo, if you have any nostalgic feeling for the Macy’s Thanksgiving Day Parade, or know someone who does, check out this book.